Rubber Base Open Spring Mount that we manufacture, export and supply features 25 mm standard deflection. 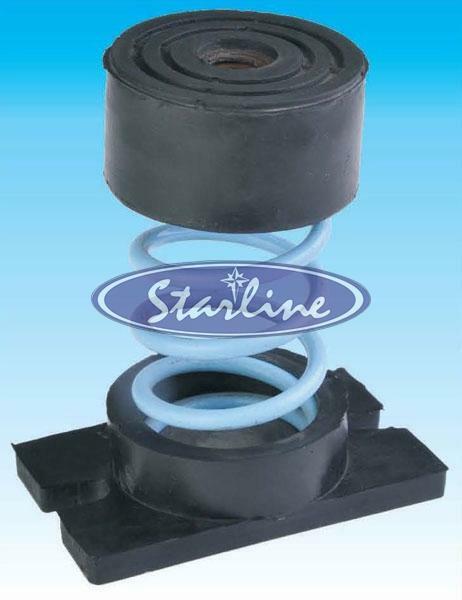 Our Rubber Base Open Spring Mount is widely applied in centrifugal axial fans, air-handling units, and small compressors. Rubber Base Open Spring Mount that we offer is featured with stable springs that are designed to prevent spring buckling and capable of 50% overloading capacity. Furthermore, the springs are powder coated with 100 hours salt spray testing conforming to Astm B-117. 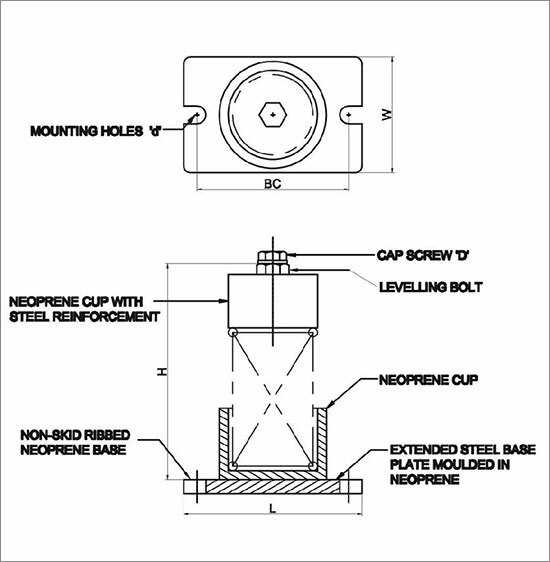 We offer bulk quantities of Rubber Base Open Spring Mount at very reasonable rates. Springs are powder coated with 100 hours salt spray testing conforming to Astm B-117. In heavier Capacities, springs are welded to load plate. Bottom plates are made of thick ribbed Neoprene pad for isolation of noise / vibration and non skid base. Standard product Range upto 2" deflection and custom isolators with higher deflections are available. Upper load plate and levelling assembly are provided for accurate leveling. Colour coded springs are provided for easy identification.